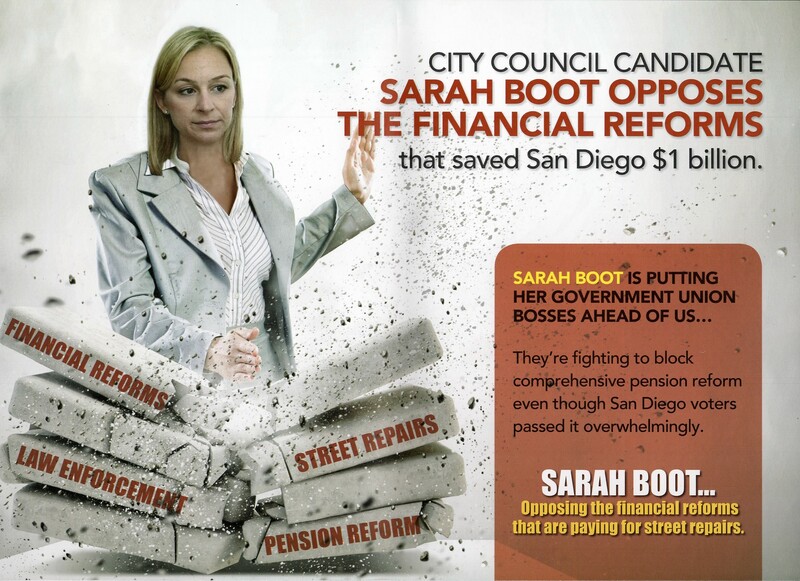 This propaganda piece was created by Lori Zapf for City Council 2014 against Sarah Boot in the 2014 - San Diego City Council District 2 election. Received by voter on 05/21/2014 via mail. This entry was posted in Literature Piece on May 21, 2014 by administrator. This piece is categorized as “against Sarah Boot”, as opposed to “for Lori Zapf”, because the categorization criteria is as follows – 50% or more of a piece is spent criticizing another candidate, it is against the other candidate, instead of for the candidate it supports. 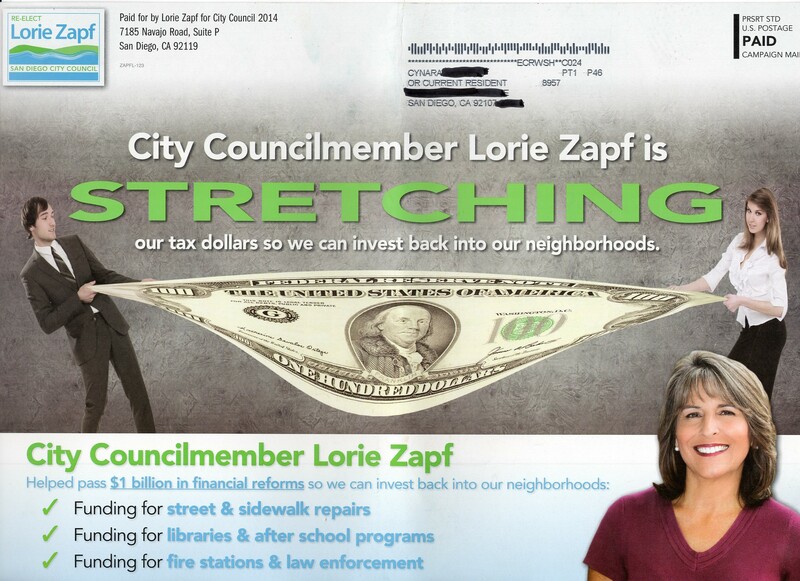 So, any mailer that is half against and half for, will fall under “against”. This is because negative advertising, unfortunately, tends to be more persuasive than positive advertising, and therefore, the negative side holds more weight.